GlamSLAM! 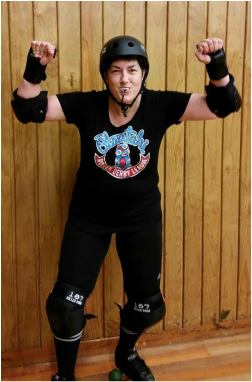 - 505 - Christchurch Roller Derby. Strong City. Stronger Skaters. Getting into derby of course!! Maintaining that derby stance! Love the burn!! Interpretive (especially if sick of people asking questions - I respond in interpretive dance). 100 duck sized horses! But to be fair i'd run from both!